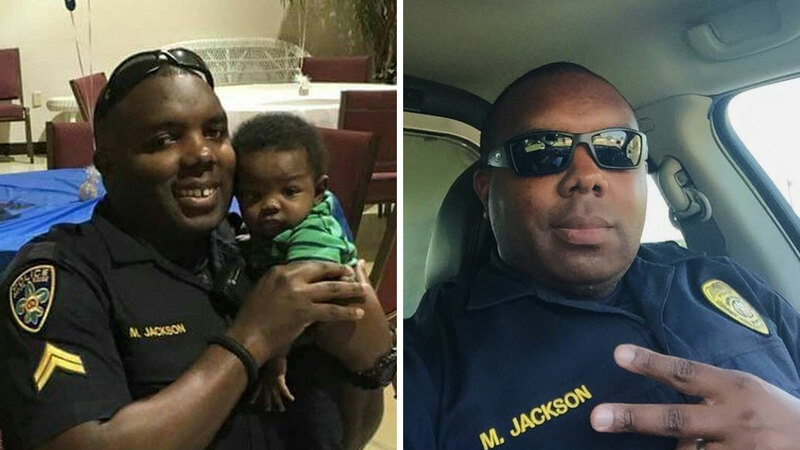 BATON ROUGE, LA -- Days before his own death, slain Baton Rouge police officer Montrell Jackson took to social media to share an emotional appeal for peace and acceptance. As tensions ran high following the death of Alton Sterling and the Dallas police ambush, Jackson wrote that he was "tired physically and emotionally" and discussed how people treat him when he is in uniform: "I swear to God I love this city but I wonder if this city loves me. In uniform I get nasty hateful looks and out of uniform some consider me a threat. I've experienced so much in my short life and these last 3 days have tested me to the core." Jackson then goes on to express solidarity with everybody impacted by recent tragedies and urges his friends not to let hate infect their hearts: "I personally want to send prayers out to everyone directly affected by this tragedy. These are trying times. Please don't let hate infect your heart. This city MUST and WILL get better." He ends the post by reassuring his friends and family that he is on their side. "If you see me and need a hug or want to say a prayer. I got you." Screenshots of the post, which is no longer visible on Jackson's profile, have been widely circulated across social media. The Associated Press was able to independently verify the authenticity of the post. Read the full text of Jackson's post: "I'm tired physically and emotionally. Disappointed in some family, friends, and officers for some reckless comments but hey what's in your heart is in your heart. I still love you because hate takes too much energy but I definitely won't be looking at you the same. Thank you to everyone that has reached out to me or my wife it was needed and much appreciated. I swear to God I love this city but I wonder if this city loves me. In uniform I get nasty hateful looks and out of uniform some consider me a threat. I've experienced so much in my short life and these last 3 days have tested me to the core. When people you know begin question your integrity you realize they don't really know you at all. Look at my actions they speak LOUD and CLEAR. Finally I personally want to send prayers out to everyone directly affected by this tragedy. These are trying times. Please don't let hate infect your heart. This city MUST and WILL get better. I'm working in these streets so any protesters, officers, friends, family, or whoever, if you see me and need a hug or want to say a prayer. I got you." Click here for full coverage on the Baton Rouge shooting.